Internally, the building boasts full insulation and painted interior lining, giving it an airy and contemporary feel throughout. There is also an electrical pack which allows lighting to be used inside the building as well as other appliances, making it the perfect office and allowing the customer to use it for other purposes such as a movie room or gym. 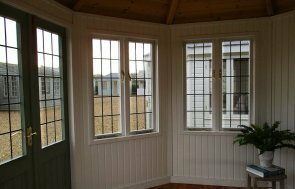 Four opening windows will allow ventilation in the warmer months and the double glazing will ensure warmth throughout the winter. Externally, the building is clad with smooth shiplap and painted in our exterior shade of Verdigris, while the apex roof is covered in slate-composite tiles. 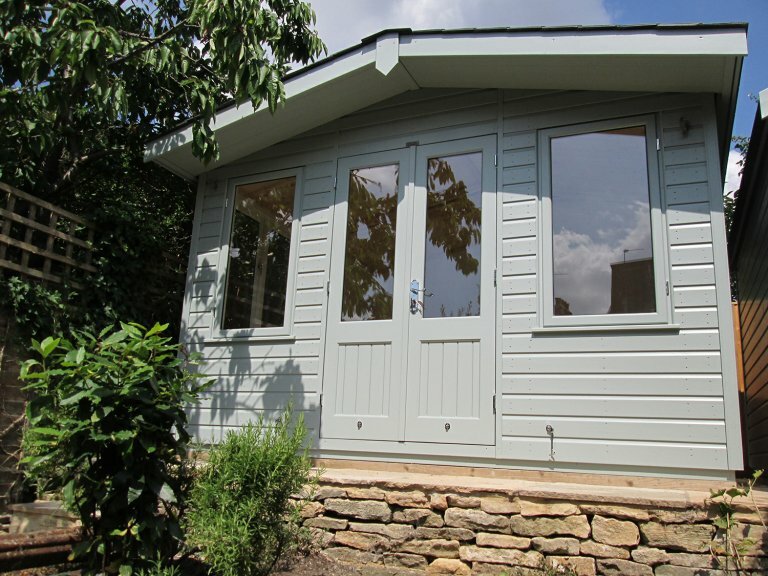 In order to view our range of FSC® certified timber buildings, we recommend that you pay us a visit at your nearest showsite, of which we have several based across the UK. You can locate your nearest one here. Alternatively, you can also get in touch with us to speak to a friendly expert about your own requirements.